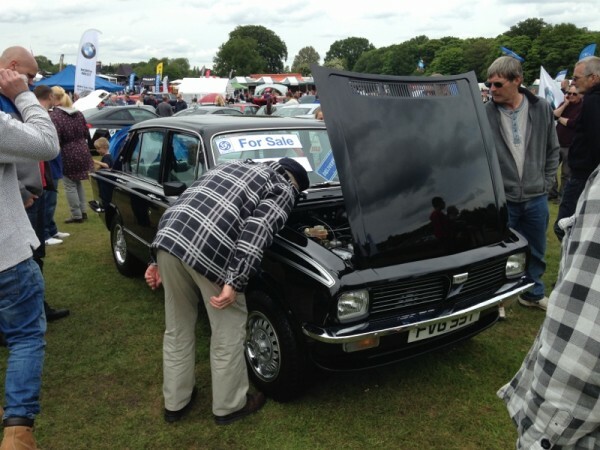 A Triumph Dolomite SE with only 82 miles on the clock from new was the star attraction at the Classic Car Spectacular at Tatton Park in Cheshire last weekend. 80 miles from new, and mint! 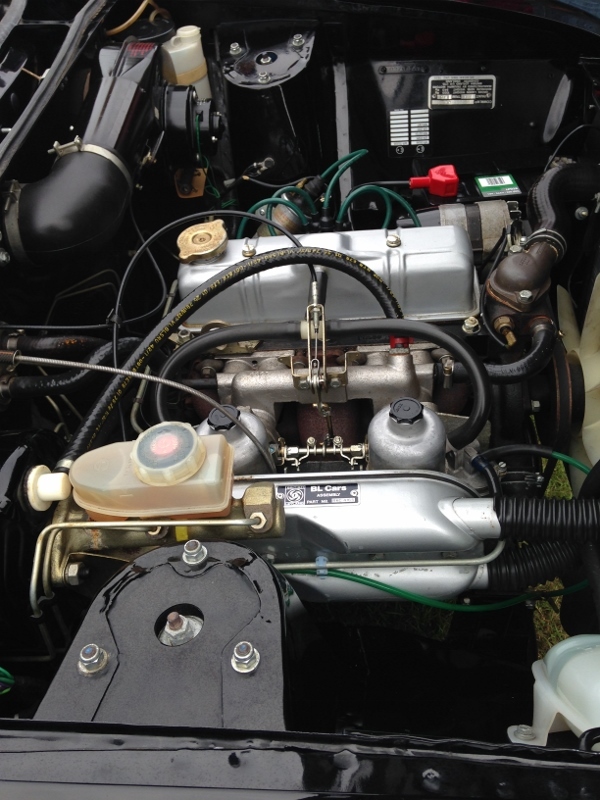 The Dolly, which is a run-out LE model in black, identifiable by its silver body graphics and Toledo/Dolomite 1300 headlamps, was bought new by Triumph fan Brian Johnston, whose family ran the Stratton Motor Company in Long Sutton, Norfolk. Formerly a BL outlet, the garage still exists and continues to specialise in British cars, although it has moved a little upmarket, with Aston Martin, Lotus and Morgan it’s three current franchises. The Dolomite was one of several Triumphs bought new by Mr. Johnston and stored in a dry, heated garage for several years. It comes with all of the original paperwork in mint, unused condition and still has all of the protective plastic wrappers on all of the seats. Needless to say, the body, underside and engine bay are unmarked, making it the closest you could find to a new Dolomite anywhere. The LE run-out Dolomite was the best-equipped 1500 model, with real burr walnut door cappings and dash panels, sports wheels, tinted glass and a push-button radio as standard, though arguably the lack of twin headlamps makes it look more basic from the front. How’s this for a clean engine bay? A beautiful car…. but what could you do with it these days? 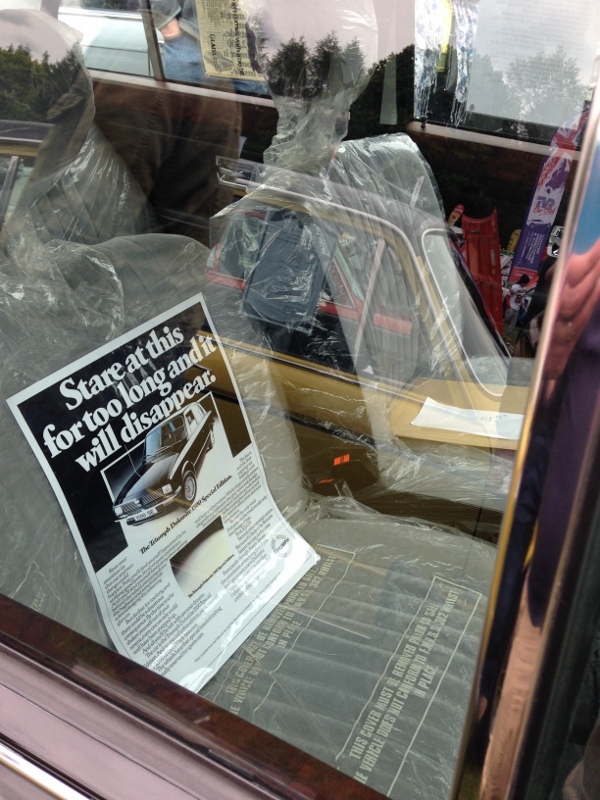 Needless to say, the £3925 dealer sticker in the window was its new price, and it certainly wasn’t for sale at the show! 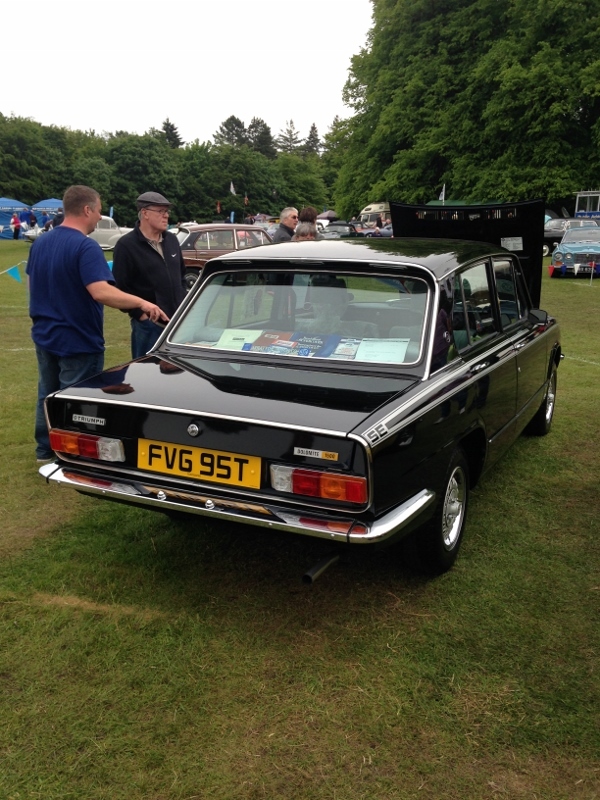 This Dolomite does look sensational… just look at the shine on those bumpers. I notice its wheels have bright trim rings which were popular on many cars in the late 70’s/early 80’s. Perhaps it would have suited twin headlamps better, but that doesn’t put me off. Thanks for flagging this car up. What a fantastic car. Any futher info on its backstory?. Why did it not get sold originally and what happened to the other cars mentioned in the article? Is this the first time that it has been on display? Any futher info greatly appreciated! It’s interesting when cars like this turn up, especially if it has some history to it. The engine would look great in a Midget. Craig you mad a small mistake – Stratton Motor Company are in Long Stratton not Sutton! I should know been past it enough times drowling at the cars in their showroom while sitting at those bloody lights! This is actually one of my favourite special edition models from British Leyland and its constituent companies in the late 1970s. Remember we also had the 1979 Mini 1100 Special, 1978 Princess Special Six Automatic, 1979 MG Midget 1500 ‘end-of-line’ in black and the 1979 North American spec MGB Roadster LE in black with special silver finish side graphics. The colour choice for the Dolomite 1500 SE was perfect while the silver ‘SE’ side stripe treatment together with those sports steel wheels from the Spitfire 1500 give it an air of attitude which was still subtle. It may not have the brawn and intimidation of a Dolomite Sprint, but I genuinely like the 1500 SE. A shame they are so rare these days – I only saw one example at the STAR90 national rally held at the Heritage Motor Centre in 2013, which made the number of Dolomite Sprints attending appear to be common (and they are not in reality)! I forgot to also mention the Allegro Equippe special edition. Sorry! Wasn’t this in auction recently with a low mileage Herald 1200 and another yellow Dolomite (HL) of slight dubious as new condition and none of the Dollys met there reserve? All ex Museum? This brings back memories of the 1980 Birmingham International Motor Show which I attended as a seven year old. Having been brought up by someone who wasn’t a particular fan of British Leyland cars, I was somewhat underwhelmed by that year’s display of Itals, Allegro 3s, Maxi 2, MGBs & Dolomites. 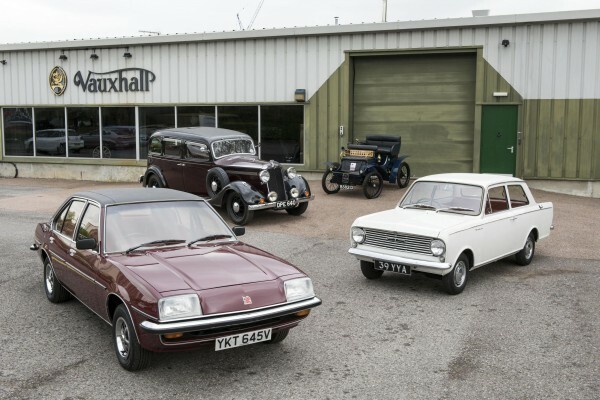 Time has however been kind to the brand with all of the aforementioned models now being held in affection by many in the classic car fraternity. Philip – I went to the 1980 Birmingham show too (was 25 then!). I remember the Show was becoming dominated by Japanese & French/German cars then. I myself had just bought a Datsun in 79. Another car I liked at launch at the show was the Honda Quintet, though it wasn’t that successful. The Acclaim arrived a year later. The Dolomite really was a pretty car. It’s surprising that the styling cues haven’t appeared in any of the motor industries regular rounds of nostalgic/heritage/classic styling. Not yet anyways. Dolomite production finished the following year with the closure of the Canley works in Coventry, leaving Triumph with only the TR7 to sell as the Spitfire was cancelled the same time as the Dolomite, and effectively the end of Triumph’s link with Coventry as TR7 production was moved to Solihull and the Acclaim was produced in Cowley. I do recall a certain amount of bitterness lingering in the city years after Canley was closed as it was less strike prone than Longbridge an the ex workers believed it had a future. Glenn, I suppose the former Canley Works is now a Business Park / Ind Estate or Houses! Perhaps a shame even the Acclaim wasn’t built there. Yes, including a Sainsburys supermarket. Street names including Dolomite and Herald bring a small tear to my eye whenever I pass that way. @ Ken – My brother passed his test in a Herald and later owned a 1966 white Herald Convertable. Was a nice looker especially with the roof down. Just a small point but the model shown was not the best equipped 1500 Dolomite, the 1500 HL had all the wood, radio as an option, tinted glass plus the full set of instruments that was missing from the single headlamp models. I know because I ran a 1500HL and looked at buying one of the SE models a couple of years after production ended. Personally I think it was a mistake not to fit the full instrument set and twin headlamps. I don’t however detract from this car which must be the only one left in this condition. It’s a lovely little thing. There’s something you don’t see any more – the plastic coverings on seats. Back in the 70s and 80s people would drive around for months in their news cars without removing the protective seat wrappings; they had the attitude that they didn’t want to spoil their new velour seats, so they sat on plastic until they’d had the car for several months. I’ve heard of people keeping the plastic on sofas for years for the same reason. Supposedly it’s not a good idea as mould can start to grow under it in damp conditions. @ Hilton D, there were plans after a long strike in 1974 to slowly phase out Triumph and run down Canley. Workers probably thought with the closure of Speke in 1978 and the transfer of TR7 production to Canley that the factory was safe, but the TR7 had been less of a success due to terrible quality and the other Canley products, the Spitfire and the Dolomite, were ageing and sales were falling. 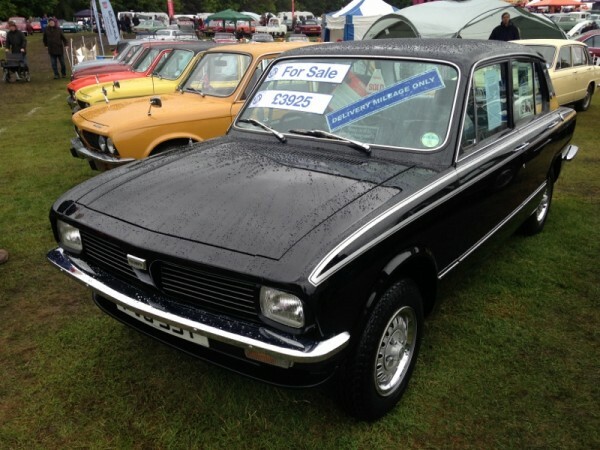 It was probable with the Triumph brand ailing and a decision to concentrate on Austin, Rover and Jaguar after 1979, that Canley had no future and the decision was taken to close the factory in the summer of 1980. Also a 14 month gap between Dolomite and Acclaim production would be too long to keep Canley open for. Thanks Glenn… yes, sounds right, with the Triumph range reduced to one new model and aiming to reduce costs, it would have been uneconomic to prep Canley for Acclaim production. Shame though. I suppose the Acclaim could have ended up as an “Austin” but BL probably thought the Triumph name would still have more prestige and potential for success? Was there any thought to moving the SD1 production to Canley rather than Cowley? Craig, I spotted this shortly after arriving at Tatton Park. Amazing! Very nostalgic. For me, another star of Tatton Park was a Mini Rose – 30th Anniversary Limited Edition. It had been owned all its life by a Mr D Rose! An early (R series) MG Maestro also caught my eye as did a beige 820e !! @ Richard Davies, an interesting idea as the six cylinder Rovers replaced the big Triumphs, but Canley was earmarked for closure under Edwardes and the plan was to concentrate all Austin Rover production at Longbridge and Cowley by 1982. The plan was to concentrate volume cars at Longbridge. Solihull and Browns Lane production was to go to Cowley North Works and South Works respectively. Moving SD1 to Cowley was phase one of this. The plan was scrapped for political reasons. When this happened, it effectively sounded the death knell of the company. The last chance for the long overdue site rationalisation and program streamlining was gone. The imperative then changed to selling of what could be sold to whoever would take the parts off the government’s hands. @ Kev, British Leyland had too many factories, a legacy from the merger in 1968, and as the company was in deep trouble in the late seventies and some like Speke had a reputation for militancy and terrible quality, British Leyland needed to cut back. In the 1978-81 period, as part of the survival plan, this meant the closure of Canley, Abingdon, Kingsbury, Speke and Solihull B and the end of MG and Triumph being reduced to producing a Honda clone at Cowley.